I was matched to shade '0.5' (the lightest one, obvs) and I have to say its a fairly good match on my super fair skin. 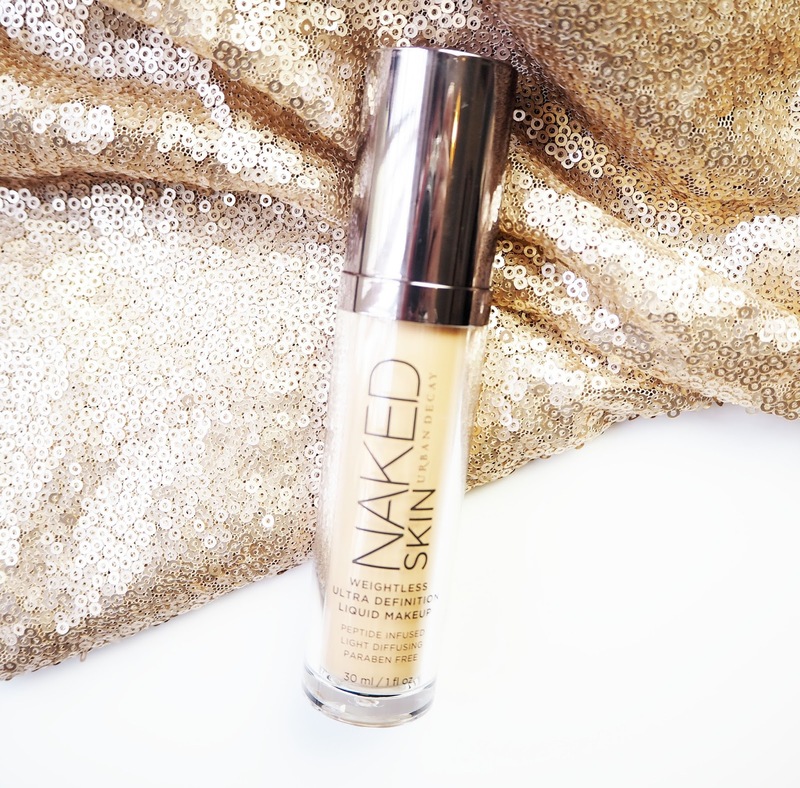 The whole point of this foundation is that its meant to enhance your skin without looking like you have a face full of make up, hence the 'Naked' name. I definitely feel it lives up to that title, its incredibly natural looking and lightweight. Usually this isn't really my thing and I prefer a foundation of a thicker consistency thats full coverage but this has been floating my boat. Lets talk a little about the application. If I had to sum it up in one word? Amazing. This applied like a dream because it was so easy to blend out, whether I use a brush or Beauty Blender I find that it doesn't take loads and loads of work to get it looking good. It blends in, looks smooth and also builds up very easily. Thats key with this as whilst it does provide beautiful coverage I do find that on a 'bad skin day' I need a second or even third layer and it goes on without a hitch. I was a little sceptical about how this would work with my oily complexion as usually my skin just eats up these type of products, so I applied it and held my breath. By lunchtime I was pleasantly surprised, yes I did need a little powder on the t-zone but nothing disastrous, and I looked more glowy than oily. By the end of the day it still holds up on my skin with minimal touching up needed. Since I got this I have been using it loads and for day to day its my new favourite as it evens out my skin, gives a subtle glow and has a lovely natural looking finish. Overall I love having this in my collection. *I was gifted this product but please be assured all opinions are genuine!